Google AdWords and its associated products are currently some of the most powerful and advanced PPC platforms available. With cutting edge targeting, bidding options and excellent ways to build a rich audience with high intent users, it is a fantastic opportunity for all businesses. However, in spite of Google AdWords’ many excellent features, certain businesses still face challenges in running successful campaigns. Not all businesses have the same format and B2B businesses in particular find that some of the most important AdWords functionality are slightly biased towards a straightforward B2C model. Unfortunately, B2B businesses already have a more complex audience to contend with, in addition to the common problems they must overcome on Google AdWords. In many ways, B2B audiences are the same people as B2C audiences. They can even be exactly the same people but the core difference is their mindset in relation to the B2B product or service. Straight away this makes targeting options in B2B campaigns more complex. Although many will use the same device for work and home and others will use their home computer for work related activities, many do not. They will use separate machines for work and home. Peoples’ interests can have a lot to do with their chosen career or no relation to their job at all. Owing to this and separate device usage, discovering correlating interests to target is harder for advertisers. Another issue with peoples’ mind set is that they are frequently busy at work with the day to day running of their business and less receptive to marketing. They also want a break from work related topics at home. This means, regardless of environment or device, some B2B audiences are much less receptive to marketing. Some individuals in your ideal audience will only be receptive in the moment they need your product, giving you a narrower window of opportunity. B2B audiences are smaller than B2C audiences, as more people are searching for general, lower priced items, for example more people are searching for shoes than they are programmatic software. Everyone can wear shoes but only some will work in that industry and will only need to acquire the software at a certain time. B2B businesses, therefore, have to target a smaller, somewhat less receptive audience and it is unlikely that just one person will be involved in the decision making for the acquisition of new B2B products, services and contracts. All of this already makes B2B audiences tough nuts to crack in advertising but B2B industries must then deal with further stumbling blocks within AdWords itself. Depending on their industry, B2B advertisers can find that certain aspects of AdWords were designed with B2C style companies in mind. The marketing tools available within AdWords are very well suited to this kind of marketing, aimed at end user consumers. While B2B advertisers can still build fantastic campaigns when they put their minds to it, there is less evidence of any functionality built with B2B audiences in mind. The main problem B2B businesses frequently encounter is the Google AdWords Keyword planner tool. This handy tool is one of the best keyword research tools available. Nearly every digital marketer uses the keyword planner, not just for building PPC campaigns but for SEO and content marketing ideas as well. While it is an impressive tool which reveals new keyword ideas, AdGroup ideas, search volumes, competition levels and suggested bids, much of its suggestions have a heavy B2C slant. This is most likely due to the fact that B2B audiences are smaller. The more technical the B2B business, the worse the problem becomes. Looking at the example below, which contains a legal term, we see none of the suggested keywords are at all relevant and all are B2C. The tool has completely misunderstood the intended audience. Luckily, some industries do have more presence but still the keyword planner can throw up terms that are more related to curious searches from the larger public, rather than industry insiders who may wish to purchase the B2B services. Keywords such as ‘What is SaaS?’ or ‘What is magnetic imaging?’ could be relevant to your industry but those searching for such an introductory term are unlikely to be your target audience. The keyword tool is not the only one suffering from the B2C bias affliction. The Opportunities tool also offers keyword suggestions that are highly B2C focused. The opportunities tool primarily takes click and impression volume into account, which leads to some very irrelevant results for B2B industries, especially if there are consumer focused terms related to your B2B product or service word as well. Of course, that is not the only problem with the opportunities tab, since it can suggest poor strategies to B2C companies as well e.g. always pushing you to increase your bid to page one positions. PPC Hero’s amusing review article on the opportunities tool gives some more detail of the good and not so good suggestions it offers and why it could be useful for those new to AdWords but not so much to experienced PPC marketers. This may be true but the keyword planner tool is a favourite among PPC advertisers of various expertise levels. Quality keyword research is essential for digital marketing as a whole, so it is easy to see why PPC advertisers can find themselves frustrated at the suggested results and dreading B2B projects. B2B businesses often provide larger priced items or ongoing contract style services, which are more expensive than many daily B2C items, thus their sales cycle is usually longer. This means that conversions are slower and CPA can be recorded as quite high within AdWords. For these reasons B2B campaigns often rely on lead generation as their AdWords tactic and pass these leads onto sales teams to convert them. The longer sales cycle can be an issue in AdWords as it takes longer, possibly even months, for a lead to convert to a sale. It can, therefore, be a while before you know if the campaign is succeeding or failing. From when you first start the campaign to discovering your ROI could be some time as you wait for first leads to be closed as sales. This means the campaign is in the initial learning stage longer, potentially losing money and putting the budget behind less profitable areas. If your business does use a lead generation approach, then metrics like CPA are not really accurate as not all those leads will become sales and generate the predicted value, so CPA could be much higher than AdWords can reveal. Despite the lower search volume of many B2B terms, some B2B businesses still find themselves facing relatively high CPCs. Since B2B businesses frequently sell more expensive items, they have a higher profit margin and more money to work with going into a PPC campaign. They are willing to invest and this in turns drives up the competition of B2B terms and causes higher CPCs among many industries. This is also exacerbated by the audience’s mentality of being too busy and many disliking sales calls until they are ready to buy. This leads to a heavy preference for B2B marketers to target high intent keywords, which are an indication of high buyer readiness. It also means the most valuable keywords, near the end of the conversion funnel, have their CPC driven higher by the competition. AdWords extensions are a wonderful way to expand the size of your ads, thereby taking up more real estate in search results. They can drive calls, texts, give directions and a multitude of other helpful calls to action. However, not all extensions will be relevant 100% of the time. Sitelink extensions are some of the most commonly seen extensions but they don’t always do B2B ads a favour. For B2C businesses with a large inventory of related products or services, they are a great way to cross sell or potentially show an even more relevant item to the user. B2B businesses usually have a different site layout. A B2B business may have very specific services it wishes to provide and not all of these may have the same audiences. Google AdWords does recommend making very specific AdGroups and for good reason, as multiple services might not be relevant to the same people and this allows better keyword targeting. In fact, many B2C businesses may also have a business structure where they do not wish to distract the customer with links off to other services and educational, less action driven pages. This is the case for many B2B models. Many will have developed a clear process for their campaign to facilitate different products, industries or price packages. They will want the user to end up on a specific intended landing page, with its carefully crafted call to action and information. This increases CVR rates, whereas distracting users with potentially less connected pages could hinder the campaign. B2B businesses could choose to not include sitelinks but many do because of the wealth of advice purporting how beneficial they usually are. B2B businesses can be very different and each has a unique model and should choose extensions that make sense to them, rather than add them just because they are available. The automated Google AdWords extensions cause a further wrinkle by bringing in dynamic sitelinks, even when a business has not added them manually. These are even more likely to be random and less relevant to the ad and keyword. Take a look at the ad below. It is bringing in sitelinks to other products that are not related to the search query. If the business is looking to push all products, this is not a bad thing but we can easily imagine a scenario where a company is at capacity for one type of client but wishes to push another e.g. YY cables. In this instance, it would be wise not to include the other product sitelinks but dynamic sitelinks could bring them in with advertisers remaining oblivious. Have a look at the following examples. The first ad has sitelinks listing industries relevant to their service. It is unlikely that this list is comprehensive, yet it could easily put prospective customers off. They may believe the software is irrelevant to their industry. The second ad links off to other, more educational pages that are not call to action driven. This could distract the users and lengthen the sales cycle, instead of pushing forward with a clear purpose. Sitelinks can still be useful for B2B businesses if used wisely but for others they can cause more problems than they solve. Beyond the Paid offers an interesting perspective on the use of sitelink extensions and why they are not always a clever idea, especially for B2B companies. It isn’t just the search network that has issues for B2B advertisers, the display network has limitations as well. One of the most frustrating problems for B2B advertisers is a lack of relevant targeting options. Both the search and display network have effective targeting with geographic and demographic targeting, as well remarketing. Some of the best targeting can hone in on the specific interests and behaviour of users, such as in-market audiences and affinity audiences. In-market audiences are helpful for targeting users who have shown evidence of being in the market for a particular genre of product or service. This is much more effective than targeting users who don’t even want your product or service. It would be especially useful for B2B advertisers, as we know their audience can be more dismissive when not in need of their higher priced services. Affinity audiences are broad interest categories originally designed like TV style audiences, for advertisers who were moving their marketing efforts from television to online advertising. Unfortunately, topics within these audience targeting types are thin on the ground for B2B businesses. The in-market audiences have a few more options but there are still many B2B industries who would not match these categories and find this targeting style a difficult option. Is Google biased against B2B businesses? Considering that B2B companies often have more money to invest with their higher priced contracts, Google could benefit from paying more attention to developing functionality aimed at B2B advertisers. Although there are some problems within AdWords that present challenges to B2B advertisers, their issues are not all Google’s fault. While it would be nice to see Google AdWords introduce more B2B friendly features to encourage advertisers, it seems that their own lack of strategic forethought could also be factor in failing to utilize resources properly. Hubspot brought together some fascinating research from multiple sources, which show that there are some great opportunities in digital marketing for B2B businesses but that they often fail to have the right strategies in place to achieve the best performance. 79% of marketing leads never convert into sales. A lack of lead nurturing is cited as a common cause of this mediocre performance. 61% of B2B marketers send all leads directly to their sales team, despite the fact that only 27% of those leads will be qualified. Only 56% of B2B organisations verify valid business leads before they are passed to the sales team. 65% of B2B marketers have not established any lead nurturing strategy. 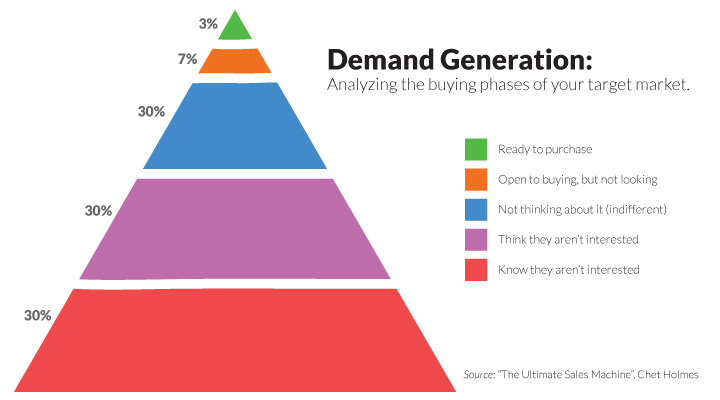 50% of B2B leads are qualified but not yet ready to buy. It appears that a lack of lead nurturing and qualifying leads is a common theme. Google AdWords may be unintentionally B2C biased because of B2C’s more simple business format, however there is a wealth of opportunity for B2B companies within PPC advertising. B2B companies can use AdWords’ opportunities to find solutions to the common problems they face inside and outside of AdWords. Lead nurturing emails get 4 -10 times the response rate compared to standalone email blasts. Personalised emails improve click-through rates by 14%, and conversion rates by 10%. In our recent article on paying and working for traffic we discussed how important lead nurturing is as a phase of AdWords campaigns. It seems B2B companies can learn from this message. While there are some irritating hurdles in B2B PPC, an understanding of Google AdWords strategies can help you manoeuvre around these problems and still use the platform to significant effect. The keyword planner and opportunities tool can be a struggle for B2B businesses with their irrelevant suggestions, yet these B2C keywords can actually be used to your advantage in B2B campaigns. By having an extensive and well maintained negative keyword list, B2B advertisers can weed out those seemingly related but ultimately irrelevant terms. The problem is that AdWords only sees linguistic connections, not the nuance of meaning and how it relates to whether that query was B2B or B2C. Sadly, Google AdWords has not become that advanced yet, although it is getting closer. If you have been using the keyword planner regularly, you will have noticed substantial improvement in its connections between B2B terms. For those rarer B2B industries, a strong negative keyword list will increase the accuracy of your campaign and reduce wasted clicks. Use the keyword planner tools’ own weaknesses as a strength by adding its incorrect suggestions to your negative keyword list. With regular maintenance and used in combination with the search query report in AdWords, you should develop a robust negative keyword list to keep your campaign terms relevant. A strong negative keyword list is all well and good but how can you build a decent keyword list to actually use when the keyword planner is throwing B2C terms at you? Sometimes advertisers need to look beyond keyword planners. Reviewing your own onsite SEO is a good start. What keywords have you tried to rank for organically? Take a look at the search query report in Google Analytics to see which keywords have been driving clicks and conversions previously. If your own SEO efforts are lacking, look at the title tags, H1s and language of your key competitors and industry leaders. The keywords they have chosen for optimisation could be valuable. Don’t neglect your own experts. Discuss what keywords your CEO, marketers and tech team would use in relation to your industry. As this is B2B there may be less of a knowledge gap between yourselves and your customers in terms of terminology used. However, this is not always foolproof, so above all consult your sales team. The sales team deal directly with customers and will be familiar with the type of terminology they use to refer to your services. They might also encounter common questions, which you can use in your long-tail and content strategies. Finally ask your existing customers and leads for data. Send out surveys and ask questions in your email marketing to discover how they would search for your services and what elements of your service or product matter most to them. By bidding on keywords with commercial intent in search and using call only campaigns, you can target those who are ready to speak to a sales rep. They are nearer the end of your conversion funnel and will be the most profitable leads but don’t forget these keywords will be competitive and expensive. To reduce your CPC, don’t be afraid to use some more educational, lower intent and long-tail query terms as well. These can still be valuable in pushing prospects further down the funnel from awareness to interest. Remember that the less is more approach works well in B2B advertising. Don’t be too concerned if long-tail terms have less volume. Long-tail terms can sometimes indicate higher intent while being less competitive. That is because they are often more specific, indicating the user has progressed some way in their research. In B2B, multiple people may be involved in the research and purchase decision of your services. These individuals will have different roles in their company and this will influence which features of your service matter most to them. CEOs, finance teams and general employees may be researching your services with their own personal agenda in mind, which could influence the keywords they use. CEOs will care most about boosting productivity and how your service will improve the business as a whole. Employees will care about functionality and the ease of interfaces, so they can do their jobs better. Finance teams will be primarily interested in costs versus rewards and how competitive your prices are. During your keyword research, you could send surveys to existing customers, not only asking what they would search for to find you, but their job title and key priorities of your offering. If your industry use many acronyms and these are terms you believe your audience would search for, remember to be careful. Many acronyms are shared across multiple genres and industries, so you could be attracting the wrong audience. Keep an eye on your bounce rate from AdWords in Google Analytics and analyse keywords that fail to convert. Keyword research usually takes place prior to a campaign but really it is a never-ending task and your list evolves over time. If you found the keyword planner threw out many B2C suggestions and you had to resort to outside sources like customers and staff, you should consider running an initial campaign focused on honing your keyword list. A short practice campaign can help to eliminate ineffective keywords and find better ones before a more optimised campaign is set up. If elements like sitelinks are causing a problem, don’t use them just because you think you should. Stick to your strategy and only use extensions that serve that goal. If you are concerned about automated extensions, they can be disabled. Head to our article on AdWords and Bing extensions for instructions on disabling automated extensions. It is a shame that affinity and in-market audiences have limited B2B categories, however there are other options. Remarketing and targeting users already on your email list is a great way to reach high intent users. You can also target similar audiences to both of these groups as well. This will open up new audiences who are similar to your existing leads and those who have expressed an interest in your site. These are just a few of the excellent ways to grow your highly targeted audience. To solve the problem of affinity audience limitations, you can simply set up the more controlled and superior custom affinity audiences. These allow you to decide what interests your audience will have shown. It even gives you an evaluation of the size of that potential audience. In the image below you can see how custom affinity audiences could work to target very specific B2B groups. It also shows the potential wider topic this group may have expressed an interest in, AKA geology. Although these are higher up the conversion funnel, awareness campaigns are still integral to your overall strategy and you can push them to become leads with remarketing later. Don’t forget the targeting power your landing pages bring. If you have already developed keywords and ad copy targeting users by their job title, be sure to customise landing pages to each persona, so you deliver the correct message to the right potential lead. With expensive B2B services, you know you may have a longer buyer cycle. While this can be frustrating, as advertisers fear wasting money during the learning phase of their campaigns, it is simply a matter of identifying each stage of the customer journey and tailoring campaigns appropriately. In this way, it’s much like the key to success on B2C campaigns. The additional feature of pushing qualified leads to the sales team before conversion can be verified is the main reason the cycle is elongated. 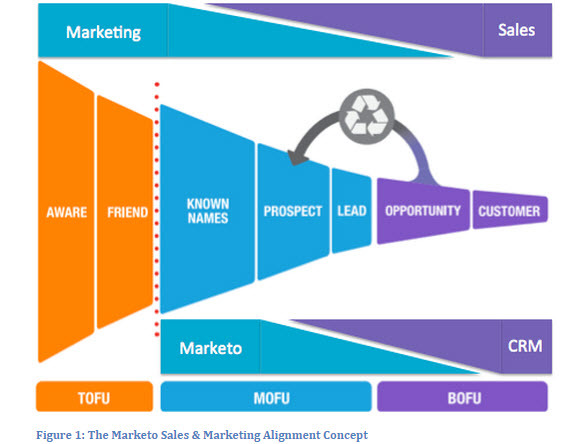 By pre-qualifying and segmenting leads you can aid this part of the conversion funnel. If you only service businesses of a certain size or industry, you can eliminate irrelevant leads early on with your landing page copy but also by using your ad copy to avoid wasted clicks and calls. Specify the business sizes and industries you cater for in your ad copy and be honest about starting prices. Many B2B businesses and B2C businesses are afraid to do this and worry about putting off prospects too early but it actually saves money on clicks and ensures a higher chance of success when properly qualified leads are passed to the sales team. Just as with B2C industries, B2B advertisers should structure campaigns around each part of the customer journey from initial awareness to interest to prospect to lead and eventually conversion. It is also important to realise that customers can join that journey at various points. You may already have businesses who are ‘friends’ because they know you through offsite means, possibly networking. Even these prospects can be pushed along the funnel with PPC, as well as offsite encouragement. The most important stage to not forget is lead nurturing. As we saw from the diagram, this is not just a step but a continual looping cycle within the funnel. For ongoing contracts, trust and communication must be maintained. Many B2B contracts are won through relationships and word of mouth recommendations, so lead nurturing is vital to this process. Pushing content via PPC, instead of hard sales, can be a great tactic for nurturing. By promoting webinars, e-books, video tutorials, events, whitepapers and free advice, you are far less likely to scare off prospects. You will pull in more leads because you are offering something of value while asking for nothing in return. These leads can then be nurtured with remarketing and email marketing later to convince them of the added value of your services. We recommend browsing our article on email marketing to aid with greater lead nurturing via soft selling. Don’t forget to integrate AdWords with your CRM system if your software allows that functionality. This will make it much easier to see which leads and campaigns are actually valuable by seeing which converted to real sales. This also shows which campaigns support the most profitable leads. Sometimes a campaign can produce more leads but less profitable ones and it can take a while to discern this with the elongated buyer cycle, so do not always trust the campaign which looks best in lead numbers before having all the data. Factoring in the actual conversion rates of your leads and their profitability is vital for B2B businesses, where many actual conversions take place offline. Tracking leads only reveals half the picture. For some B2B industries it may be that the search network is just too competitive. This is common when smaller businesses take-on industries with large well-known corporations, who invest heavily in PPC. However, all is not lost because the GDN can offer much lower CPCs for smaller B2B businesses. The GDN is also a good place to push these soft sell micro conversions, like your webinar or blog and then pick up more leads to re-market your product or services to. RLSA search campaigns, based off visitors lists garnered from the GDN, can also allow you to break into search in one way with lower CPCs. Since many B2B businesses offer expensive items or services, it is common for leads to desire a person to person conversation to explore details. This will be especially true if you offer bespoke packages. For these B2B businesses and really every company, it is essential to have clear lines of communication for users. Your phone number should be very easy to spot in ads with call extensions and on your landing pages and any other site pages where users could end up. Phone numbers should not be neglected in footers but clear, along with a call to action on every page. Even if you prefer to gather leads via forms for your own tracking purposes, do not attempt to put users off calling if they need to. Some will refuse to fill out forms until they have spoken to a person to gather necessary information. Call only campaigns also present a great option for cutting out phases of the conversion funnel for high intent users. B2B advertisers should always use Google call tracking in their call extensions and implement on site call tracking for numbers on their website. These could be hot leads, so you do not want to miss out on tracking them. For B2B businesses who are also e-commerce e.g. where users can buy subscriptions or contracts to software online, you should also consider a live chat element. At busy times, some customers prefer these to phone calls, if they only have a quick question and it can mean the difference between a soft prospect or a sale straight away. Always track all behaviour you can on your landing page. You should be monitoring all macro conversions with Google AdWords conversion tracking. To keep your AdWords campaign goals clear, you can also track micro goals in Google Analytics to have a better picture of your leads’ journey. With event tracking you can even monitor more minute behaviours. Even when a user has not become a lead through a form or phone call, they may have signed up to your newsletter or simply watched a video or clicked a link to another part of the site. By carefully monitoring this behaviour you can see where you are losing leads to distractions or confusing information on your landing page. Head to the Google Developers page on event tracking for more information and take a look at Optimise Smart’s detailed walkthrough on adding event tracking for video plays via Google Tag Manager. You now have a wealth of information at your fingertips to give your B2B business an edge in Google AdWords and methods to overcome some of the common problems you might face. One last tactic is to adjust your call to action language in ad copy for B2B. B2C calls to action focus on urgency but this could repel B2B users who want to make a carefully considered investment. Be less forceful and avoid expressions like ‘buy now’ or ‘order now’. Instead try ‘discover more’, ‘learn more’ or ‘enjoy our free tutorial’. Be sure to focus on value, ease of use and ease of integration into their company. It is a fact that for some B2B industries Google AdWords may still throw up continued challenges. In these scenarios AdWords can work better as part of a cohesive strategy that employs many advertising methods. Consider also exploring video advertising and paid social or a combination of the two. With YouTube advertising through AdWords, you could reach audiences in new ways. On Facebook, you have options for lead generation optimised campaigns, targeting job titles and live video. There are many options when it comes to B2B advertising, so always be willing to experiment and try new tactics in PPC to create the best ROI.